This illustration is one of the latest editorial pieces completed for the American Academy of Family Physicians featuring The Male Wellness Exam. 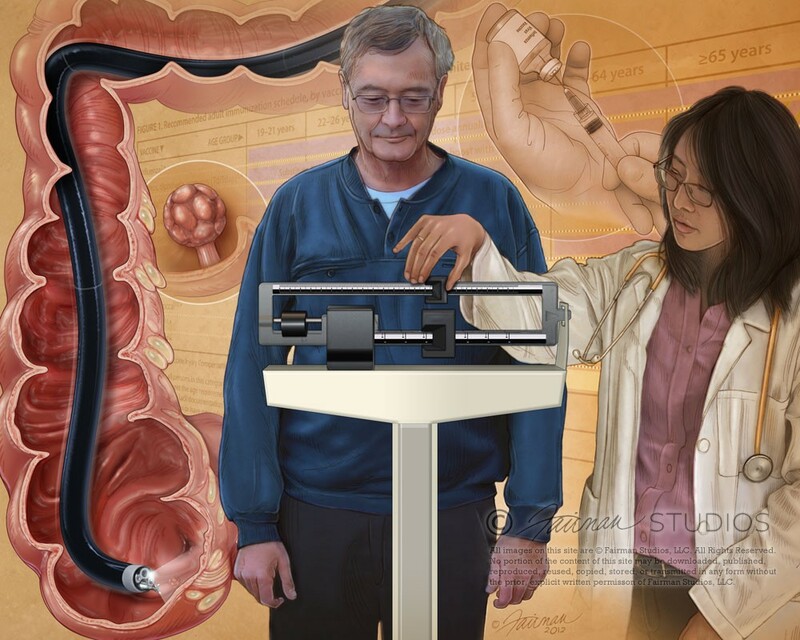 Depicted are a montage of images illustrating common considerations during history and physical examination during male wellness exams, including weight and obesity screening, colonoscopy screening for colorectal cancer and immunization schedules. How did you discover our site? All content © 1999-2018, Fairman Studios, LLC unless otherwise noted. All Rights Reserved.